You will be responsible for our early sales worldwide and develop commercial projects with out-of-the-box financial instruments. We are looking for a Construction Engineer to lead the building of our prototpes. Designing and building of high-voltage systems at sea, that are water tight. Work on innovative monitoring systems that can withstand and monitor the conditions at sea. As Business Intern you contribute to our Commercial/marketing strategy and manage our online channels: Twitter, LinkedIn, Facebook, Instagram and our website. More information? Our engineers, both staff and interns, play a key role in the development of our novel floating renewable energy platforms. Maritime engineering, structural engineering, mechanical solutions, determining the mooring loads of floating structures, analyzing the hydrodynamic behavior building prototypes and installing them at sea is our process of bringing our design from concept to reality. Not what you are looking for? Don’t worry, Please try an open solicitation! Allard has more than 20 years experience with permanently moored offshore systems and new technologies for offshore applications, at The Ocean Cleanup and at Bluewater. Jeremy Nijk, MSc in Structural & Civil Engineering from TU Delft, previously project engineer with The Ocean Cleanup and field engineer in the offshore wind industry. Robert (MSc in Coastal & Civil Engineering from TUDelft) graduated at Deltares on wave energy production and is specialised in wave modelling. Maarten is graduating in Mechanical Engineering, specialization in Fluid Dynamics. He was a team member of Solar Team Twente. 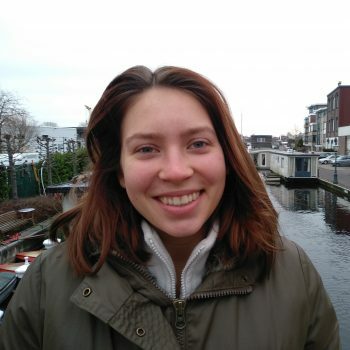 Stefania is graduating in Environmental Sustainability at Leiden University College with a minor in Business Administration. Her internship includes executing administrative tasks and writing her research thesis on solar energy in the Netherlands. Daisy is graduating in Marine Science at Utrecht University. She also works parttime as GIS and geodata analyst. Brigitte (PhD, Marine Geology, University of Miami) has more than 15 years experience in the corporate and academic world focusing on marine & environmental research. Johnny graduated in Energy Science (Utrecht University) and Business Administration (University of Amsterdam) and was previously active at Cleantech Venture Capitalist Yellow&Blue. Pieter holds an MSc in Control and Simulation, Aerospace Engineering from TU Delft, with a minor in Sustainable Energy Technologies. Fabian has a background in Civil Engineering and is graduating for his master specialization in Offshore Engineering and Structural Dynamics at the TU Delft. Willemijn is a Marine Technology student from TU Delft. She is graduating for her master specialisation in hydromechanics. Juliette is a Naval Architecture and Offshore Engineering student from ENSTA Bretagne in Brest. She is graduating for her master specialisation in Offshore Platform Design. Stefan has 20+ years experience in finance and IT in energy and financial services industry. Ariane holds an MA degree in Communications and Information Sciences from the University of Groningen and has vast experience in press relations in the technology and renewable energy sectors. Trevor holds a MSc in Biology and is a highly experienced ecologist with a proven track record of interacting with engineering teams, regulators and external stakeholders to successfully navigate environmental and social risks. Erik is a graduate Mechanical Engineer, focussing on the different materials applicable at sea. Graduate in Aerospace engineering, with interest in electrical engineering. Working on implementation and waterproofing of electrical systems. From left to right: Her Royal Highness Princess Mabel, Allard van Hoeken, Her Royal Highness Princess Beatrix. 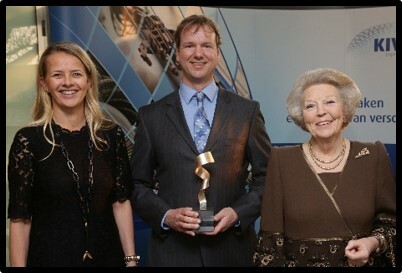 Allard was awarded with the first Prince Friso Engineers Award in 2015 and named Engineer of the Year by the Royal Institute Of Engineers (KIVI).